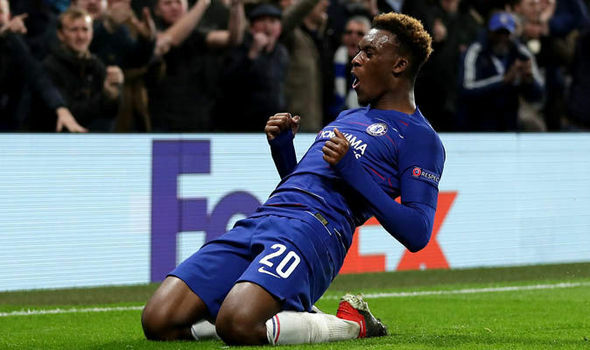 Bayern Munich are ready to make a fresh bid for for £35million Callum Hudson-Odoi in the summer. The 18-year-old was consistently linked with a move to the Allianz Arena in the January transfer window but a deal was not struck between the two clubs. Bayern director Hasan Salihamidzic pushed hard for the player last month with the England Under-19 international handed in a transfer request after failing to start a single Premier League game for Chelsea. Bayern chairman Karl-Heinz Rummenigge said: 'We want to have the best quality of players at Bayern and Hasan [Salihamidzic, director] is totally convinced of this player. That's the reason. 'The only thing that Hasan would have been happy to finish was this player from Chelsea, because he had practically fallen in love with this player on account of his quality.